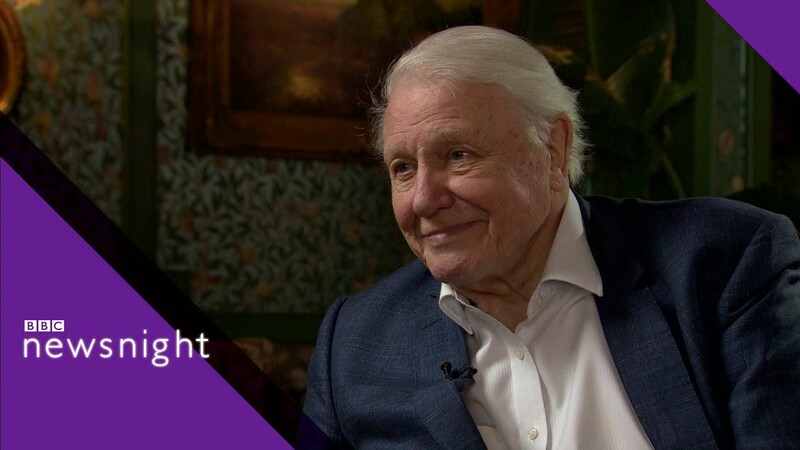 Renowned naturalist David Attenborough sat down with BBC Newsnight for a wide-ranging interview about the environment and how the planet cannot accommodate the “alarming rate” of human overpopulation. Even now, with the world’s current population of 7.6 billion, humanity uses up Earth’s natural resources 1.7 times faster than the planet’s ecosystems can regenerate, according to the Global Footprint Network. This ecological debt is poised to increase as the world population is expected to reach 8.5 billion by 2030, 9.7 billion in 2050 and 11.2 billion in 2100, the United Nations projected. Also in the interview, Attenborough admitted that up to five years ago he was “very, very pessimistic” about the future of the planet, but the landmark Paris agreement to combat climate change changed his attitude. “The Paris agreement seemed at the time to be at last nations coming to their senses,” he said. Attenborough remains hopeful despite President Donald Trump’s intention to withdraw from the international accord signed by nearly 200 countries. “It is true that President Trump doesn’t go along with it. To what extent the United States is going to withdraw from it, we’ll see,” he said. “My suspicion is that people will realize that actually the United States’ attitude is outdated, it doesn’t apply anymore, and I think that will be overcome.
? Meet Mike Millen: 65 Year Old Fitness Freak A Local Food Revolution In Puerto Rico ?